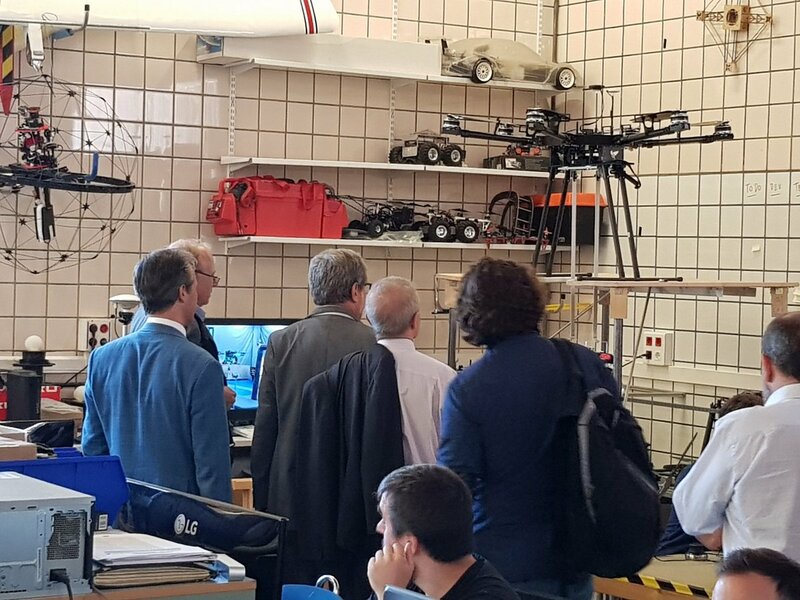 This Tuesday the spanish civil and military shipbuilding enterprise Navantia visited our facilities at the Engineering School of the University of Seville to see our works at the H2020 projects as AEROARMS and AEROBI. 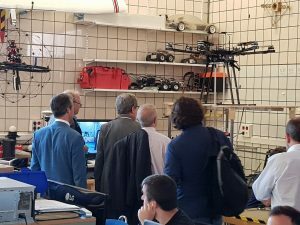 They came to the laboratories and saw our platform Darius with the robotic arms developed for the AEROARMS project and the breakthroughts obtained in projects like Hyfliers. Navantia has been our partner in another projects as MARVEDIP. They tooke very good impressions of our current track in the unmanned vehicles researching field.